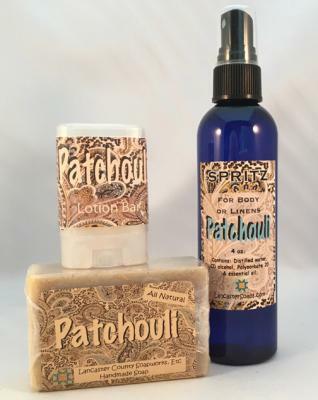 For all the hippies or anyone who just loves Patchouli. The original unisex scent in soap, spritz and lotion bar. A moisturizing lotion bar, so fragrant it can be used as a solid perfume. Small enough to carry in pocket or purse.